Michelle Bromley (AUS) saw victory slip through her fingers today in a hard fought match against world no.79 Huang Yi-Hua (TPE). Bromley was able to take a 3-1 lead and looked like causing the biggest upset of the tournament so far. 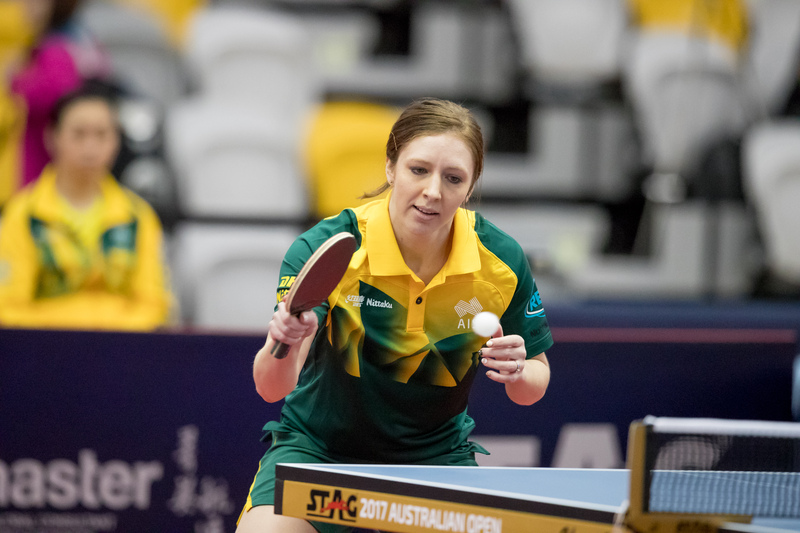 But with the fifth and six games going the way of Huang 10-12 and 9-11, it was heartbreak for the Aussie as she went down in seven games. Meanwhile the rest Team Australia were unable to put a game on the board, going down in straight games in their matches. Dean Shu and Kelsey Amor were on duty for New Zealand this morning. Amor came up against Gao Ning (SGP), the highest ranked player in the qualification stage, and although he went down 4-0, will definitely have benefited from the experience. Compatriot Shu couldn’t quite find a way through Masaki Yoshida (JPN), suffering a 4-0 loss. Find the full results from today’s matches here.